Race day for the 46th annual Zions Bank Boulder Mountain Tour is drawing near and this year’s race promises to be special for several reasons. 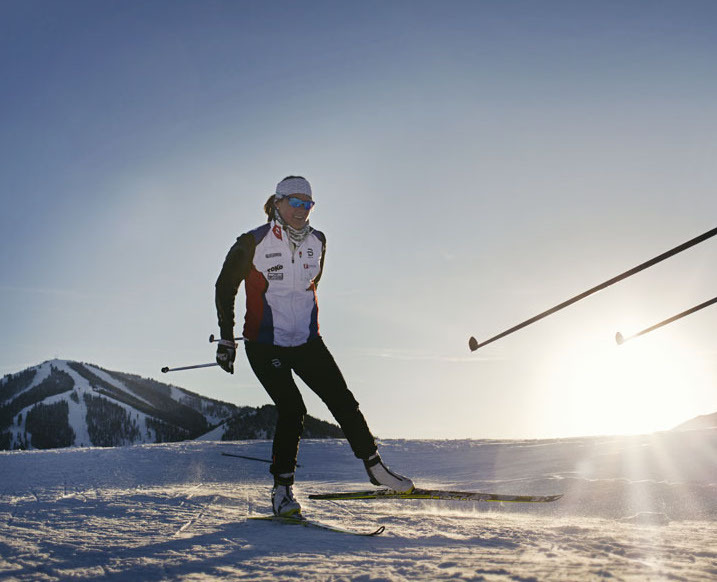 The capstone event of the Sun Valley Nordic Festival, this year’s Boulder on February 2, 2019, will honor Jon Engen, a three-time Olympian who was a dedicated ambassador and respected competitor in the sports of cross country skiing and biathlon. A longtime Ketchum resident, Engen passed away from pancreatic cancer in April of 2018. Many of his friends from near and far, including Bozeman, Montana, where he attended college, will be in attendance to pay homage to Engen and ski in his memory. The men’s elite field is shaping up to be a highly competitive one for the 34-kilometer race staged on the Harriman Trail in the Sawtooth National Recreation Area. Four-time Olympian Andrew Newell (2018, 2014, 2010, 2006) heads up a men’s elite field that includes 2018 champion Matt Gelso (1:10.28), 2018 bronze medalist Bryan Cook, 2012 BMT and Birkebeiner champion Matt Liebsch, a noted marathon racer, and 2008 BMT champ Michael Sinnott. This pack will be challenged by perennial top-10 finisher Wyatt Fereday, and top-20 racers from last year, Nathan Schultz, Harb Harrison, Orion Berryman, Noel Johnson, James Rucker and Joe Jensen. With three-time defending champion Caitlin Compton Gregg set to give birth this month, the women’s field is wide open and several local women will be leading the charge. Annie Pokorny, a former Sun Valley Ski Education Foundation Gold Team racer, returns to the field after finishing fourth in 2018. Sloan Storey, a SVSEF alumni, coach and former captain at University of Utah, will try and improve on her third-place finish in 2016. Emily Williams, another SVSEF coach and alumna. 2017 women’s silver medalist, Erika Flowers, skied to 16th place overall, 7:41 behind champion Silas Talbot. Annie Pokorny training with the SVSEF Gold Team in 2016-17. Photo by Hillary Maybery. Conversely, there is a non-timed Ninth Wave for participants who want to embrace the touring aspect of the event. There are currently 25 participants signed up for the Ninth Wave. Current registration for the event is nearing the 700-person mark with 117 people signed up for the very popular 15k Half Boulder. There are 83 open slots remaining in the Half, and 235 openings in the Full. The entry field is limited to 1,000 participants altogether and last year, 317 people signed up for the race in January. 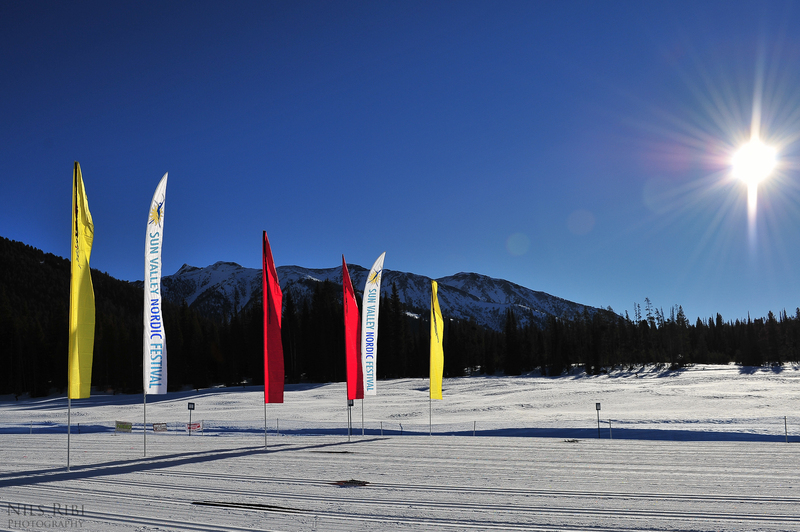 The course is set to accommodate skate and classic skiers. Two weeks remain to register at the current $100 rate. At midnight on Friday, January 25 the rate goes up to $120 for the Full Boulder and $100 for the Half Boulder (currently $85). Registration closes on Monday, January 28 at midnight. There is no week-of-race registration. Sign up is through SkiReg.com at https://www.skireg.com/zions-bank-boulder-mountain-tour. 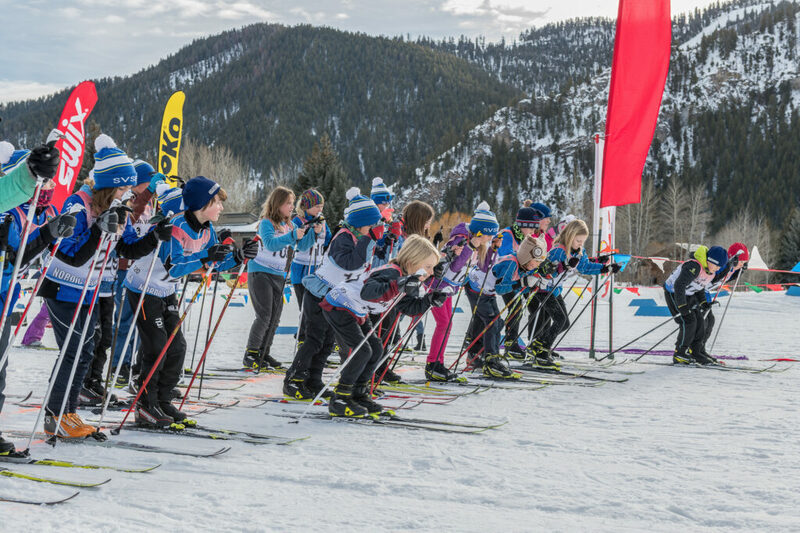 All Boulder entries are eligible for a free pre-race clinic with Sun Valley Ski Education Gold Team racers at Sun Valley Resort on the Wednesday prior to the BMT, January 30. There is no trail fee, but participants are asked to check in at the ski desk in the lodge prior to the clinic. 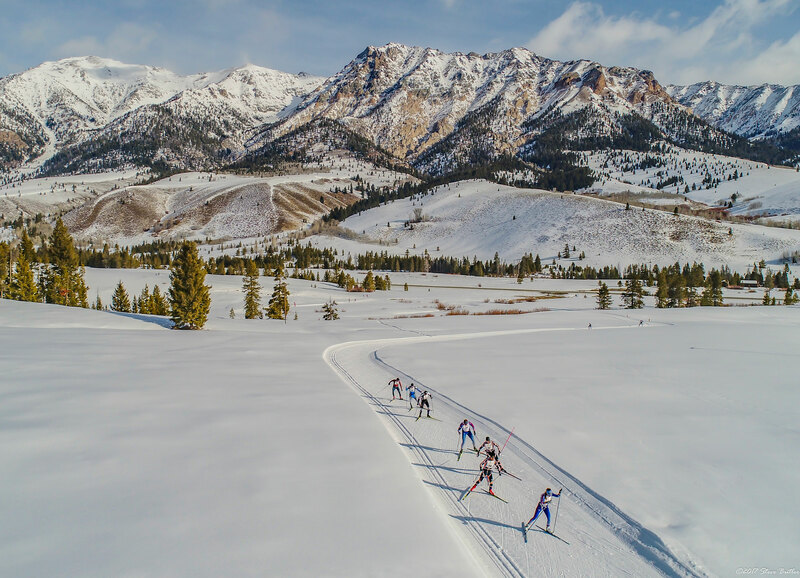 The NordicTown USA Sprints on Thursday, January 31 at Simplot Field west of the Ketchum post office, feature a “Regs and Dregs” class for citizen racers. Pros and members of the SVSEF cross country team will also toe the line. Awards for the sprints will be held at the Limelight Hotel in downtown Ketchum, which will coincide with the kickoff celebration featuring live music by Ketchum’s own Pisten Bully’s, food and drink specials. 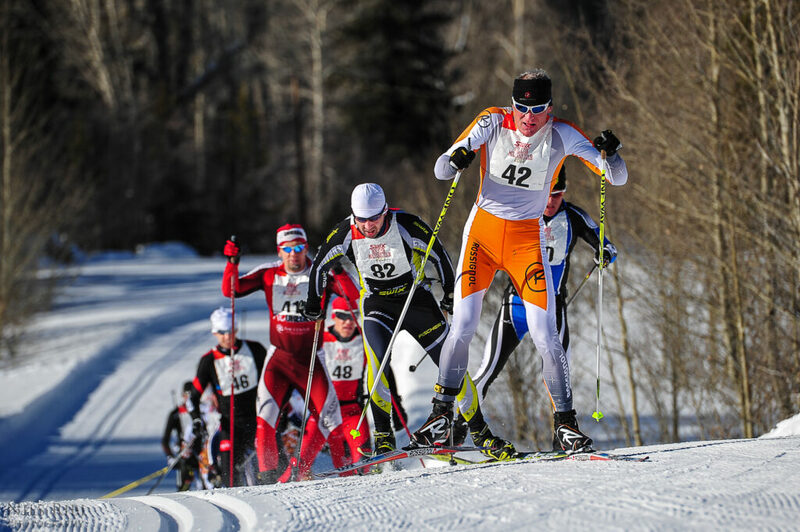 SVSEF junior racers get off the mark at the NordicTown USA Sprints. Photo by Nils Ribi. The BMT Expo is on Friday, February 1 at the Limelight Hotel from 10 a.m. to 8 p.m. and will feature some new vendors, including local artist John Caccia, Pit Viper of Utah, and Brynje, industry standouts SWIX, Madshus, Boulder Nordic Sport, and valley nonprofits Blaine County Recreation District, Sun Valley Ski Academy and Hunger Coalition. If you would like your business to be featured at the Expo, please contact Jody Zarkos at bouldermountaintour@gmail.com. Demo Days will be held on Sunday, February 3 at Sun Valley Resort from 10 a.m. to 3 p.m. Local shops and industry representatives will be on hand to provide access and insight to all the latest and greatest gear and tips in cross country skiing. Demo Days is free to all BMT participants and open to the public. Sun Valley Resort will have the grill on with burgers, brats and veggie burgers available between 11 a.m. and 2 p.m. There are many ways to be involved in the race besides skiing in it. Volunteers are needed. It takes roughly 210 people to execute all facets of the event and everyone who volunteers for the race is invited to an appreciation party on Wednesday, February 13 at the Limelight Hotel. Go to http://signup.com/go/HvepoEh to lend a hand. The sunshine takes care of itself, but we need help with the flags, and other things! Photo by Nils Ribi.